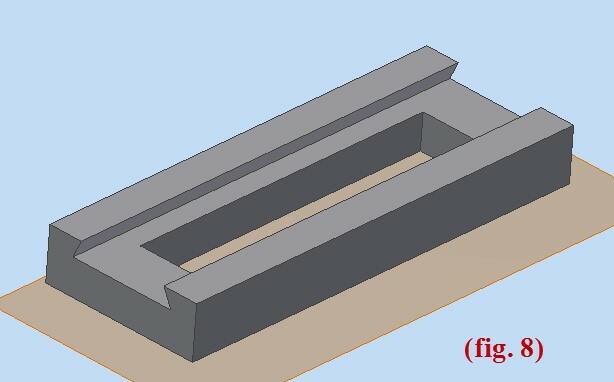 Multi-Body Part Modeling is part of a group of techniques known as Top Down Design (Multi-Body Modeling, Skeletal Modeling and Layout Design). Multi-Body Part Modeling allows you to build-in design intent and create an assembly and parts from one master part file (IPT). 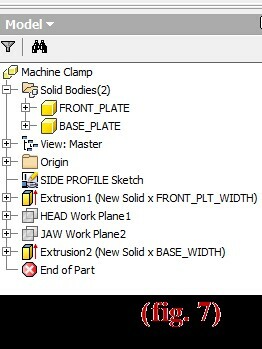 I know that the first two sentences sound like a mouth full but what it means is that one part controls the design intent and criteria of the whole design and new parts and assemblies are created from this “Master” file. 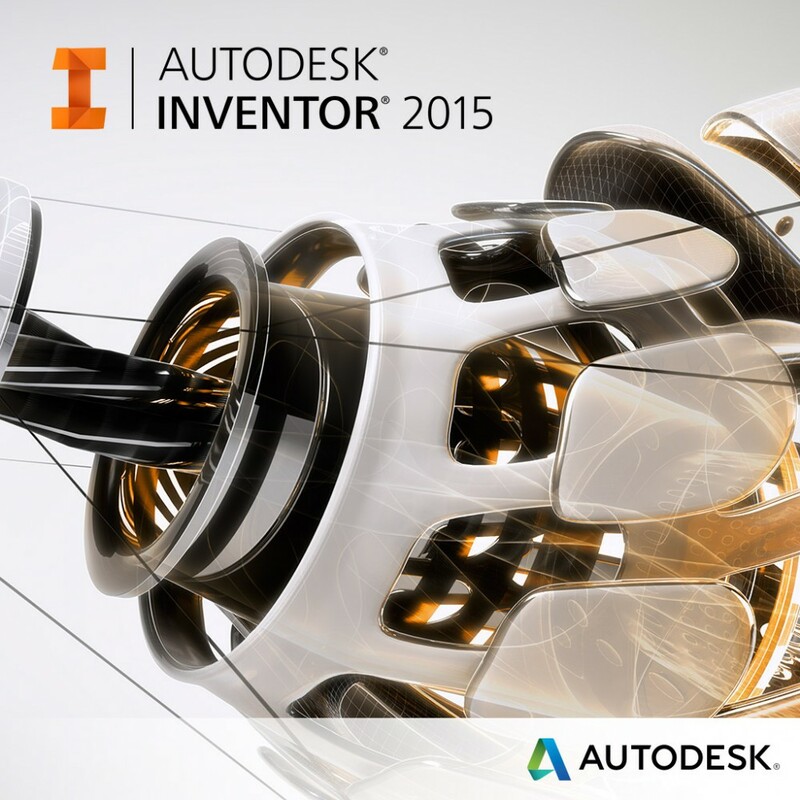 Any change that is made in the Master file is passed automatically to the parts and assembly. Before you begin, have a clear expectation of your design up front. It will not be practical to control a 100 part assembly with a Master Multi-Body Part. More than likely, you will go blind from trying to keep the sketches and parameters straight. In my opinion, it is best to concentrate on small to medium size models that do not have a huge amount of complexity. As you work with Multi-Body Parts, you will learn your comfort zone in designing these models. Control parts and assembly from one part file. Little to no constraints in the assembly file makes for a smaller and faster assembly. 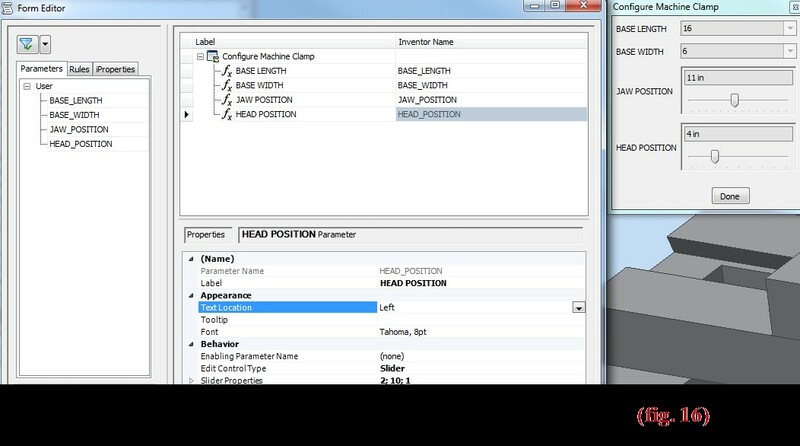 Make a change in the “Master” part file and that change propagates throughout the parts and assembly automatically. 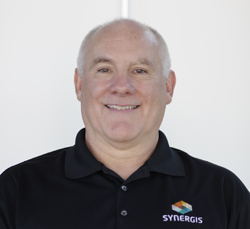 You can Defer Updates and make the update process manual. Also, the link to the “Master” part can be broken but, once the file is saved it cannot be recovered without recreating the file. You can also suppress the link which can be unsuppressed at any time. 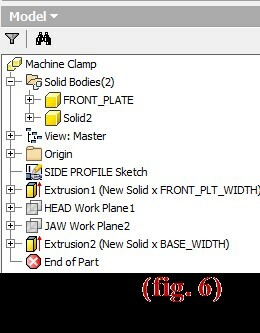 Material properties must be reset in the individual part files after the solid body is converted into a part. This tutorial will span 2 parts. Planning is a KEY component in the creation of a Multi-Body Part. The design intent must be well thought out up-front before modeling begins. Understand completely what you want the model to do and how to incorporate any changes you would like the model to represent. This is also a good time to figure out if you would like to utilize iLogic in your design to help drive the Master part. 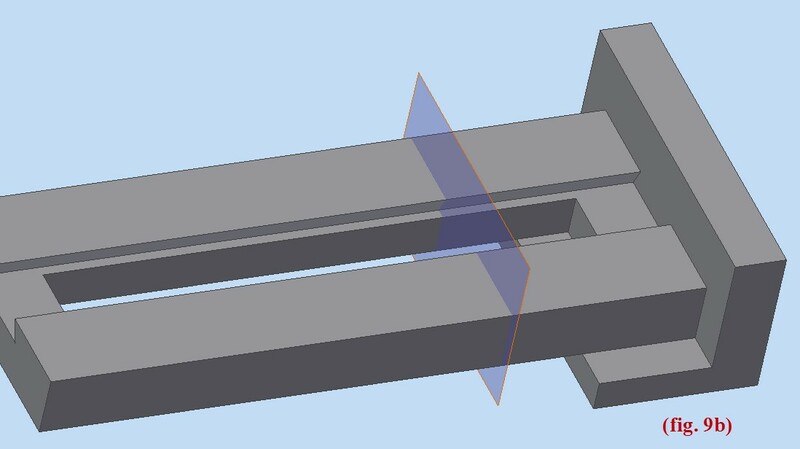 In this example, I will be making the Machine Clamp pictured below (fig. 1). I have labeled the main parts that I will be modeling. You will need to create one or several sketches to control and constrain the design. I typically start with a profile sketch (fig. 2) that shows the best view of my part. I always constrain my sketch to the main Origin Planes. This ensures the most stable reference in any modeling file. I then add other sketches as needed. At first this can be a daunting task but you will improve in this process with experience. Parameter Creation is another step that needs to be well thought out up-front. You want to think through how you want your model to react and what parameters will be needed to “Drive” those parameters. 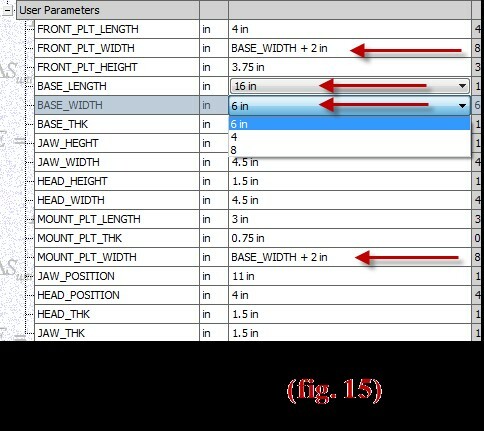 You can name as many parameters as you like, and it is essential to name the parameters that will change in your design. If the dimension or parameter in a sketch will not change, you do not have to use a named parameter. With the possibility of dozens of parameters, it is important to assign Clear and Descriptive names to ease the process of assigning those parameters to a dimension. I tend to create all my parameters up front using User Parameters (fig. 3). This is not a hard fast rule, I just like to keep all my parameters together so I don’t have to go hunting around for them. 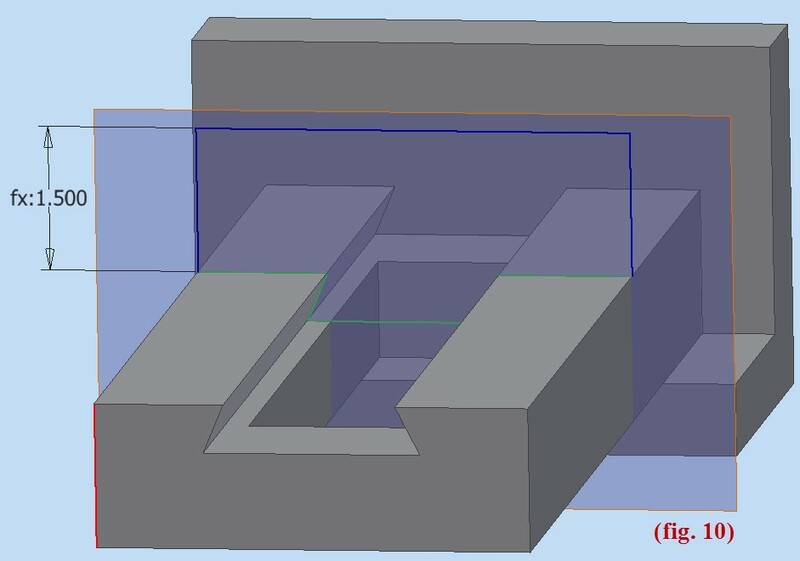 When you make your first Extrusion, you will see that your first Solid Body (Solid1) is automatically created (fig. 4). It is a very good idea to rename your solid bodies to recognizable names. 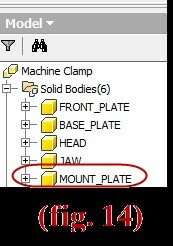 In the case below I have renamed Solid1 to FRONT_PLATE. (This name can become the part name if you wish, you will see this later in the tutorial, so it is a good idea to use part naming conventions.) It is also helpful to rename your sketch. If you end up with several, it helps to easily identify the sketch in the browser. After you create the Extrusion, the sketch will not be visible. You will need to RMB on the sketch and turn the visibility on. The next step will be to create the Solid Body for the Base plate as shown in (fig. 5). Select Extrude from the Create panel. Select the profile, in my case, the Base plate. Instead of selecting the Join operation you will move down to the fourth button which is the New Solid. Select your Distance and Direction then press OK.
You will see in the browser that a new solid (Solid2) (fig. 6) is created under the Solid Bodies. I renamed mine BASE_PLATE (fig. 7). Take note of the number in parentheses behind the folder Solid Bodies. This number indicates the total number of solid bodies in the folder. You can select any solid body of the part and continue to add features, at any time, as I have below. To make the creation of the cutout and slot a little easier, I have turned off the visibility of the FRONT_PLATE (fig. 8). To add the HEAD of the clamp, I have created a plane (fig. 9a & 9b) that I can control the location with a parameter dimension. I then created a sketch on that plane and projected the shape of the slot and added the height of the Head (fig. 10). The width will be controlled by the width of the Base plate. Once again, I have selected the Extrude command, selected the Profile, chose a New Solid and gave the profile a Distance (fig. 11). I will need a hole on the FRONT_PLATE that will accommodate my threaded screw (fig. 12). This hole will need to go halfway through the HEAD plate. I turn on the visibility of the plane that the HEAD plate was created. I place a sketch on the FRONT_PLATE. Add a hole to the sketch. On the Hole dialog box I select a threaded hole, Full Depth that will Terminate on the plane that goes halfway through my HEAD plate. The KEY to this operation is that you must select the Solids arrow (5) and then select the Head plate to participate in this feature. This is a good example of starting a feature on one solid and having another solid “Participate” in the feature by selecting the join Solids command. I have created the solid for the JAW in the same fashion as explained above in the creation of the HEAD plate. I also added the bottom MOUNT_PLATE (fig. 13). 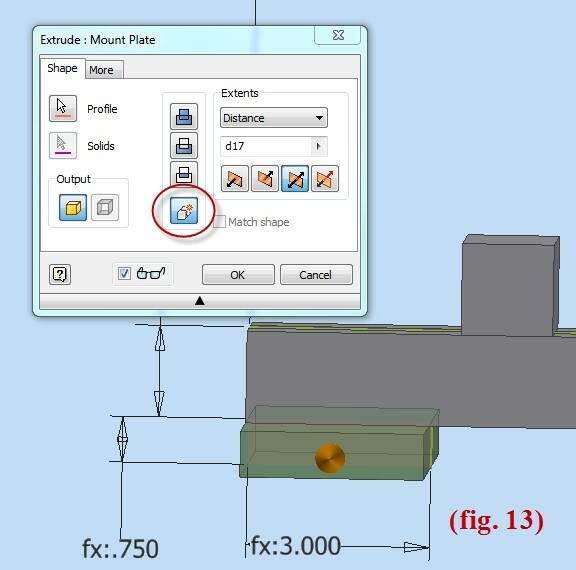 Just like the other Solid operations, select Extrude, select the MOUNT_PLATE sketch. 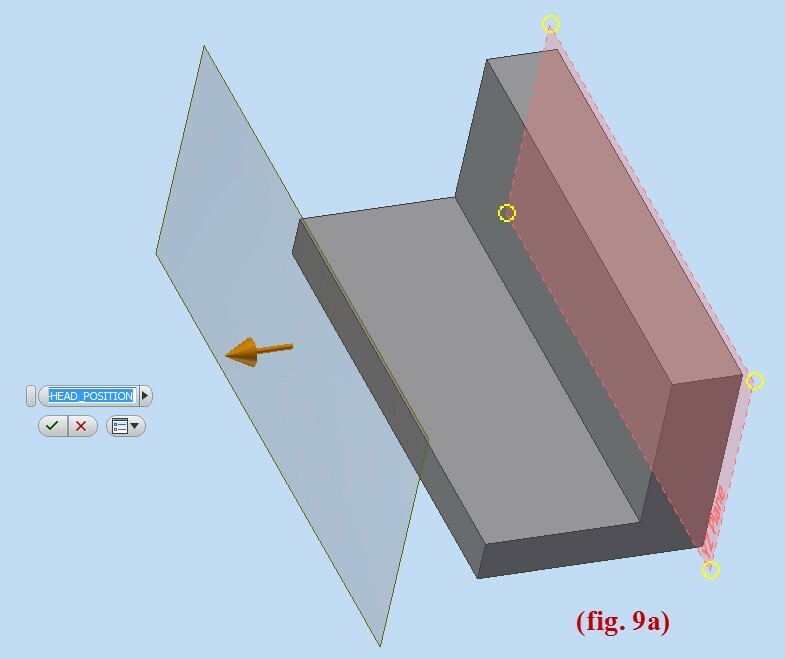 Select the Solid operation from the Extrude window, set your distance and click OK. As you see in the picture below right (fig. 14), I have added and renamed my new Solids. If you find yourself moving too fast and notice that you have been using the Join or Cut command, you can always go back to the feature and make the Join, Cut or Intersect a New Solid by just using the normal feature edits. Before I add the SCREW, this can be a good time to Flex the model to be sure that it is working in the fashion intended. My first step in Flexing the model is to check my parameters. I have added several Multi-Value lists (fig. 15) to limit the selection according to my criteria. I have also added a few formulas to drive other parameters based on my design wishes. To make my life a little easier I have also added an iLogic Form (fig. 16) to assist me with testing the design along with keeping the form (fig. 17) to run my Master part in the future. After completing my test and verifying the design works as intended, I can complete the rest of the Master Part. With the addition of the SCREW as my last Solid, I have finished adding solids. I can now go into the part and add any features that are needed to finish the design. A point to mention again, is that this is one part, the iProperties Material for the Master Part will be the Material for all the parts when they are made into separate parts. When they are separate parts, you will then be able to select different materials if desired. You can select different colors for any of the Solids. In my experience, I have noticed that the colors will not always carry over when converted into a separate part or assembly. It may be effective to wait until the finished assembly and make all your changes at once. 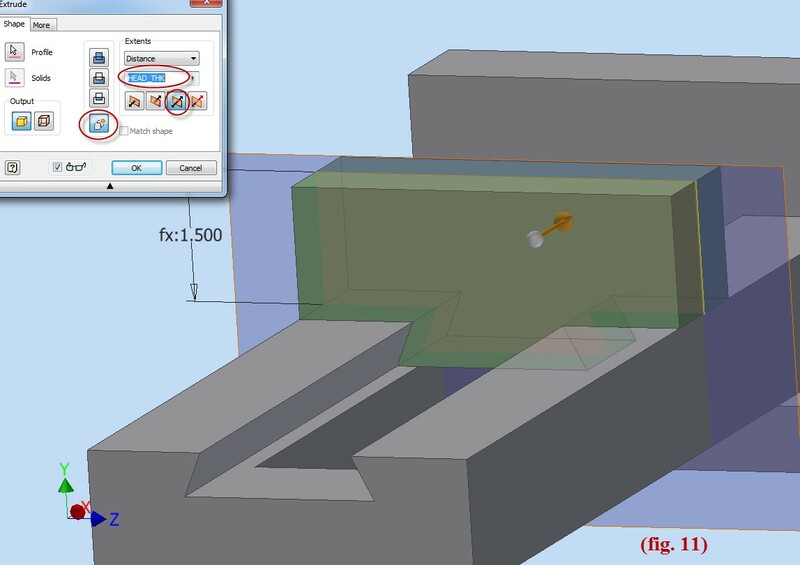 Below is a finished view of my Machine Clamp example (fig. 18). Here’s part 2 to finish. Check it out.